From the bottom of my heart, thank you for taking the time to stop by. I’ve been absolutely blown away by everyone who continues to support me and my family along our journey. Together with my husband Luke, I have created this foundation to help raise an understanding and awareness of Fragile X, because not too long ago, before receiving Ethan’s diagnosis, this is a condition we had never heard of either. I hope that through this site and by attending our fundraising events we will be able to help you understand what life is like for those living with Fragile X. 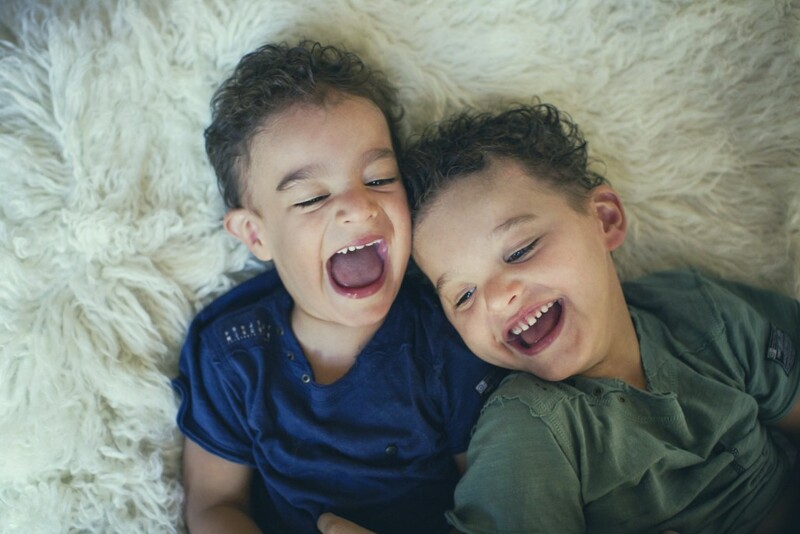 Below is our story and I invite you to read our journey and learn about my two boys who have taught me so much and who every day inspire me, amaze me, frustrate me, love me, and drive me to be the best mumma I can be. The Think Fragile X Foundation was established in 2013 by Maria Goss, not long after both her sons, Ethan and Logan were diagnosed with Fragile X Syndrome. Together with her husband Luke, the aim and goal from the start has always been the same – to help raise an understanding and awareness of Fragile X Syndrome, because not too long ago, before receiving Ethan’s diagnosis, this is a condition they had never heard of either. Maria’s background of working in the non-for profit and event industries has given her a passion for organising and hosting their Gala Dinners. She is a full time stay at home Mum who makes time while the boys are in school and in the late hours of the night to run every aspect of the Foundation. Maria and Luke pride themselves on passing on every single dollar possible to their nominated charity, and delivering on the promises they make at their Gala Dinners. People with FXS often have a good visual memory, a great sense of humour, empathy, strong ability in mimicry and a friendly nature. Every week in Australia one child is born with FXS, and 20 are born who carry the changed FMR1 gene. Approximately 100,000 people in Australia are affected by Fragile X in some way. Think Fragile X Foundation is an independent not for profit organisation that aims to raise awareness of Fragile X Syndrome (‘FXS’) by informing the community about FXS and holding fundraising events. 100% of all profits from all fundraising events are then donated to charities who help support people who have FXS. Maria Goss set up the Think Fragile X Foundation in late 2013 after both her young sons, Ethan & Logan were diagnosed with FXS. They both attend Kids are Kids! Therapy Centre, where they work together with a team of dedicated and talented therapists to receive their early intervention therapy including Occupational, Speech and Physiotherapy.